In the wake of allegations of question paper leak, the High Court on Thursday ordered the authorities concerned to cancel the written test of Janata Bank taken for the post of executive officer on April 21, 2017. The HC asked the authorities concerned to hold the examination afresh as soon as possible. An HC bench of Justice Zubayer Rahman Chowdhury and Justice Md Iqbal Kabir came up with the order after the final hearing on a writ petition in this regard. Lawyers Jyotirmoy Barua and Suprokash Datta Omit stood for the petitioner while Momtaz Uddin Fakir and Majibur Rahman Samrat for the dean of Dhaka University’s Social Sciences Faculty as it was given the responsibility to hold the test. Counsel for petitioner Suprokash Datta Omit said it has been proved that the question paper was leaked. The written test for the executive officer post of the state-run Janata Bank was held in the capital on April 21 last. Later, 15 candidates filed the writ petition with the High Court bringing allegations of question paper leak in the test. 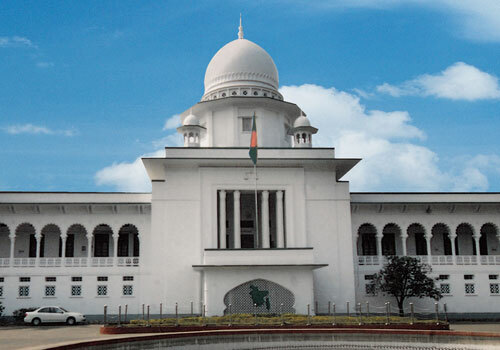 On May 22 last, the High Court stayed for three months all activities, including publication of results, of the written test also issued a rule asking the government to explain as to why its inaction to cancel the test held on April 21 last and look into the allegation of the question paper leakage should not be declared illegal. On Mar 10, 2016, Bankers Selection Committee published a recruitment notice for 834 posts. Dhaka University Social Sciences Faculty was assigned to arrange the examination. Later, the preliminary test was held on March 24 last. A total 10,150 students came out successfully in the preliminary examination and 9,400 students appeared in the written test.